After one hundred great years, Mission Beach's one year of celebrations will culminate with the Centennial Festival & BBQ Competition on Saturday, September 27, from 11am-7pm. This free festival will take place between Belmont Park and Ventura Boulevard - spanning the seven-acre park and beyond onto the streets of Mission Beach. 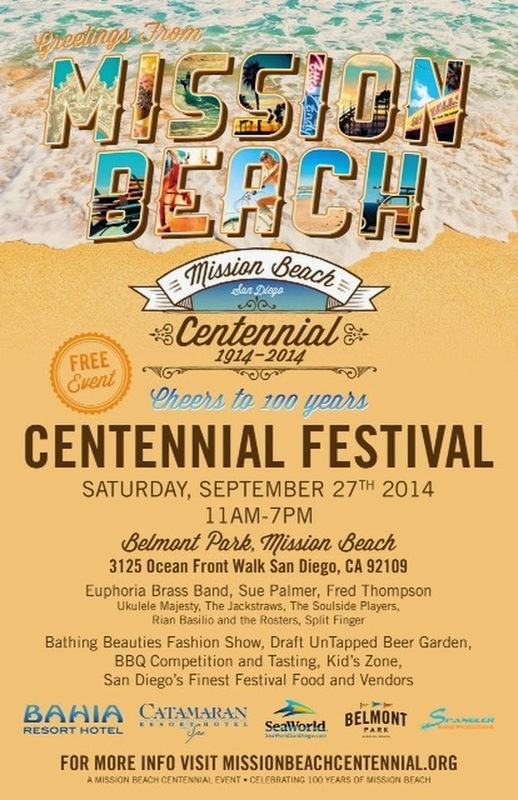 Over 15,000 are expected to attend the Mission Beach Centennial Festival. The event will include a fashion show, live music, a walking museum, a sanctioned barbecue competition, a craft beer garden from Draft and more. The Centennial Festival will be the last and largest event of the yearlong celebration. The festival will include local vendors, live music, entertainment for the family and Draft’s “Untapped Beer Garden,” featuring five breweries - Coronado Brewery, Saint Archer Brewery, Modern Times, Firestone Walker Brewery, Anchor Steam and Deschutes Brewery. Live entertainment during the Centennial Celebration includes music performed by Split Finger, Rian Basilio and the Roosters, The Soulside Players, The Jackstraws, Fred Thompson Ukulele Majesty, Sue Palmer and the Euphoria Brass Band. 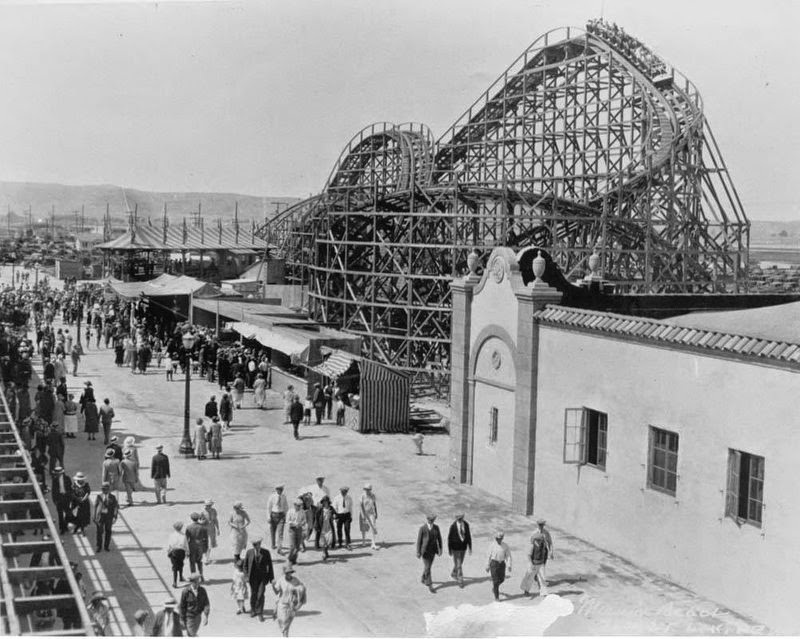 In addition, guests will be able to enjoy a Bathing Beauties Fashion Show with suits from the 1920’s, and a walking Museum filled with Mission Beach memorabilia. Adults will be able to dive into drinks at the Draft craft beer style Beer Garden and Kiddos aren’t forgotten, a Kid’s Zone within Belmont Park will be set up to entertain youngsters of all ages with activities including The Boo Hoo Crew, the Hullabaloo Band, magicians, balloon art, free face painting and, of course, all the wonderful rides and attractions. The festival wouldn’t be complete without some tasty grub too. Attendees will be able to grab the best BBQ at the sanctioned cook-off, with tastings, starting at 11am, but only until they run out! Some of San Diego favorites like Brazen BBQ, Holy Mole, Chillin & Grillin and Rubbed the Right Way will be competing. San Diego’s finest festival food and vendors will also be attending. This is a festival and Mission Beach birthday celebration that San Diegan’s cannot miss out on. Built on a sandbar between the Pacific Ocean and Mission Bay in 1914, the popular beach destination spans for approximately two miles and is home to the famous boardwalk which is used daily by joggers and cyclists. 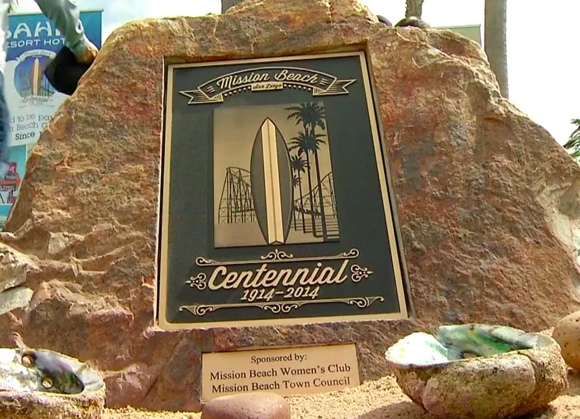 For more on the Mission Beach Centennial, go to missionbeachcentennial.org or call (858) 488-1549.